I restrict baking to early hours of the day even if it means waking up an hour early than usual during summer season. Nehal wanted me to bake a chocolate cake and with a lone egg sitting in the refrigerator and too early in the day for the stores to open, I decided to bake an eggless chocolate cake since I had a tin of condensed milk, the main ingredient that goes into its making. This is a decadent eggless chocolate cake – moist, with a tender crumb. Absolutely delicious and needs no adornment. Biting into a slice of this cake is a heavenly experience. Its sure to win raves among family and friends. I baked a plain chocolate cake but you can try adding chopped toasted nuts, prepare muffins or replace water with black coffee. 1 Preheat oven to 150 C. Grease and flour an 8″-9″ inch baking pan. 2 Sieve maida, baking pwd, baking soda, salt and cocoa pwd, thrice. Keep aside. 3 Cream the sugar, melted butter, condensed milk and water till smooth using a wooden spoon or hand blender. 4 Slowly add little flour-cocoa mixture. Follow this procedure till the dry ingredients are completely blended with the wet ingredients. Add vanilla essence and combine well. 5 Bake in preheated oven for 45-50 mts or till a toothpick inserted into the cake comes out clean. If you want to frost the cake follow this icing recipe – Sieve 1 cup icing sugar with 2 tsps cocoa pwd, slowly add little hot water till it forms a flowing consistency. Place cake on a plate and pour the icing all over the cake. Looks very good – the texture is really beautiful!! Sailu, Looking for some kid friendly recipes, the kidszone is throwing an error. I have one doubt. Is the condensed milk the sweetened condensed milk? Please clarify. Yes, the sweetened condensed milk, Spandana. Mouth watering cake.. Looks perfect. You awe me always !!! The pic looks simply fantastic, what a moist chocolate cake. looks very good and perfect…as always with ur recipes…one doubt,for a plain vanilla cake, can i just use the same recipe without cocoa powder? Replace cocoa pwd with 1/4 cup maida. Woww cake looks super moist and soft, love it.. I tried your Zebra cake its awesome . Can i replace the butter with veg shortening (dalda) or veg oil? please can you reply as early as possible. if yes means for 1/2 cup butter how much dalda/oil i should substitute? Yes, you can use dalda in place of butter. Use the same quantity as butter. I have not tried making the cake using dalda. Do leave your feedback on your attempt at ‘Zebra Cake’ post. Thanks. I have updated the recipe. Its 1 3/4 cups flour, approx 200 gms. Thanks for posting a eggless cake recipe. I was looking for such a one. Now a days one of my daily to-do list is visting your site..:-) I would like to ask you if we want to try any other variants other than chocolate, can all other ingredients remain same. I want to make any other variant other than chocolate. Kindly clarify my doubt so that i can experiment with other types of eggless cakes. 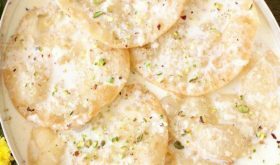 You can use this as a base for other flavored eggless cakes, Rupa. Do leave your feedback if you try other eggless variations. I love eggless recipes and this one looks so good!! The recipe is too good… actually I was waiting for a cake recipe. I have an oven which doesn’t have Pre-heat option, so can you tell me how I can do it in my oven or else how can I cook on a gas stove. I just want to tell you one thing, I am a working woman and I daily open your website to check what posted for today, my colleagues also ask me whatâ€™s posted each day. Swati, you can pre-heat oven, by placing knob in the bake option at the required temperature for 10 mts. After its pre-heated, place baking pan with cake batter in the oven and bake at the required temperature and time. Hope this helps. Wonderful recipe collection. Ur website is my all time Favourite. 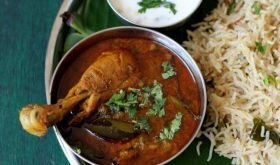 These are the recipes I tried out and turned out to be a super hit. 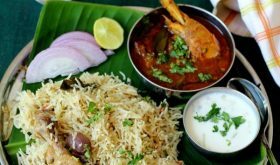 (Gobi Manchurian, Dahi vada,Poha Dosa and tomato chutney,Vermicelli upma, Hari chutney,Thur Dhal chutney,besan chutney,Tomato chutney,capsicum pachadi,Onion chutney,sambar,bendakaya pulusu, Coconut rice and aloo curry, Moong Dhal palak,Spinach Dhal,Puram Poli,Carrot perugu Pachadi, ulli pakodi,Pepper Chicken curry, Egg masala curry,Spinach rice,Cabbage pesarapappu,Soya chunks veg pulav,Khichdi,Tomato Paneer). Will try out the rest too shortly. How perfect! Cake looks moist and fluffy, great texture Sailaja. Happy Mother’s day, have fun. I tried this cake today, it was excellent but i think i baked it for a long time than required. it became a bit crusty at the edges but the outcome was wonderful. Hi Sailu, I made this cake last night and it turned out amazing. My first attempt at a chocolate cake was a disaster and I was very skeptical to try this first. But then, I am glad I did. If I want to include eggs, can I substitute water with egg whites? Thanks once again for sharing this wonderful recipe. I have updated the recipe. Use 1/4 tsp salt. Your cake looks awesome….I am trying in today ..i would like to know if u can try the cake in the flat baking pan…. A flat baking pan might not work, Lavanya. Swetha, you can bake at 125 degree C for 45 mts or till a toothpick inserted in the cake comes out clean. I have not tried baking in a convection oven, though. can i replace butter with veg oil. Yes, you can try with vegetable oil also. Y’day i tried with veg oil. Thanks for u r support. Yesterday i tried your cake recipe, it didnt come out fluffy, it tasted to buttery & didnt rise much. i followed exactly as u have mentioned the steps. The quality of baking powder and soda has to be fresh and good. Old baking powder does not yield a good cake. Also you should not over beat the batter. The oven should be set at the correct temperature. You can bake the cake upto one hour. If you follow these tips, your cake should come out fine. Thanks sailu, I’ll try again with less butter, as it tasted very buttery & heavy, lets see this time how it comes out , i’ll let you know. 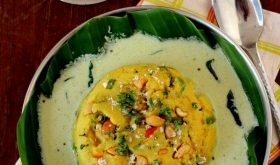 Hi Sailu …I tried out this recipe for my husband’s birthday and it came out very well ! we really liked it …The next time , I will probably try to reduce the fat content a little and make some sort of an icing ! Thanks for sharing this recipe ! Wondering how to bake a cake without an oven, in a cooker. At the moment I have few ready cake powder mix. I dont own a oven at home. can you guide how to bake the cake in a cooker. I tried this chocolate cake yesterday.It came out excellent:). And I got good reviews from family. Thanks to you. hi we are in sharjah and are really impressed with your site of great tasting recipes. i have one small doubt. I dont have an oven is it possible for me to make this cake in microwave or what would be an alternative good method that i can make it as i really want to try it out. pl do tell me!! Sailu, thanks for this wonderful recipe…I made this cake for my son’s 5 months birthday 🙂 and it came out super super. my hubby loved it a lot. I tried this eggless choclate cake. It came out really good and smooth, my husband loved it a lot. as I come from a vegetarian family, ur eggless cake helped me a a lot. thanq!. all ur dishes are really good. I tried most of them. You are posting excellent recipes!. I wanted to know whether brown sugar can be replaced with white sugar. I wanted to try this cake on my sister’s birthday. Pls reply. can we replace the condensed milk with any other ingredient?? I stay in the U.S. Can you suggest me a good baking powder and baking soda? I am new to baking and so I am confused as to what brand I should buy. Dear readers living in US, please help Aruna with her query. Thank you. Aruna, I do not live in US. Aruna, I use Arm & Hammer baking soda and Rumford baking powder to do my baking. It is possible that grocery stores in your area may carry some other brands instead of the ones mentioned above. I would recommend that you buy a small quantity first and try it out. All the best with your baking! The best eggless cake I have ever tasted. Wonderful. But this is my bookmarked recipe to try for my daughter’s bday! can this cake be made in microwave? what should be the temp. & for how much time should it be baked. Thanks for this recipe. I tried this recipe out with Flax seed, instead of butter, as I’m trying to replace butter & eggs with Flax seed in my baking these days. The cake came out well, with the exception that it was a bit bland. It slipped my mind that I needed to add enough amount of sugar to balance the quantity of flax I added to substitute for butter. Kindly let me know how to cook this cake in a microwave? 2. i used a doll pan(bowl pan) and the outer got cooked soon and started turning black and the whole of the center did not get cooked.same batter came out great when i used ramekins. kindly tell me where i am going wrong. is it something to do with the pan?i use an OTG.what should be the batter consistency? Hi..I tried this recepie..for a friend who doesnt eat eggs! it came out so well! and my husband also loves it! thanks!! your cake looks so good..I was wondering, can you cook it in a pressure cooker? I dont have an oven.. please give us the reciepe for it.. btw good blog! keep up the good work! Yes, you can prepare in a pressure cooker. Hi! Quick question from a dummy. Is 150 C equal to 300 F? Hi Sailu, I tried this cake and it came out beautifully. Thanks so much! Funnily, it tasted much better the next day. I’ve noticed that a lot of your readers ask about baking in a microwave oven. I believe I can somewhat address that query. Baking in a regular microwave oven is tricky and may not give the best results. However, if you have a convection microwave oven (like I do), it’s a breeze. Because once you switch it to the convection mode, you can use it just like an OTG. In fact, because of the constant movement in the convection microwave oven, cakes come out more evenly than they do in an OTG. The trick is to not bother with any of the pre-set options, but follow the settings advised by the recipe. For instance, in this recipe, Sailu advises 150 degree, but the chocolate cake pre-set option in my oven was set to 180 degree. Imagine what a disaster it would have been had I gone with the pre-set option. To adjust settings yourself, just refer the manual of your oven and tinker around (like I did, since I was always used to my mother’s OTG) and you’ll figure it out in no time. swati so how should we make the cake by not using the oven it would be a chocolate syrup then !! heyy, just wanted to ask…is it okay if i use white sugar instead? 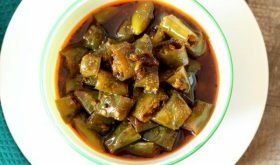 Hi Sailu, thanks for this great recipe. The pre-heat temp is mentioned as 150C, should the cake be baked for 45-50 mins at 150C too? Should it be the same if I used a glass dish to bake? Yes, Mangala. The same if you were using a glass dish too. can u please tell me that how to make the icing of the cake? Thank you so much for this recipe! Couldn’t find an easier way to bake a quick chocolate cake! THANKS FOR THE RECIPE!!!!! 🙂 I’M PRACHI. IF WE DONT HAVE A OVEN THEN IN WHICH VESSEL CAN WE MAKE CAKE ON GAS STOVE???????????? You can make a cake in a pressure cooker. Check out this Pressure cooker cake recipe. very very dirty idiot rascal cake. Your cake looks amazing, I was just wandering would it work for cupcakes as well? Thank you ! Yes, it will work for cupcakes. can we use white sugar???????????? Thank you so much for your most simple yet wonderful cake. I made it on my birthday and it was amazing !!! Some couldn’t believe it was a homemade cake 🙂 thanks a ton!! This is the best eggless chocolate cake recipe I have tried so far. I made it yesterday for my husband’s b’day and it came out great. Thanks a lot and keep up the good work! Hey can instead of condensed milk … Sour curd be used ?? yyummy ! 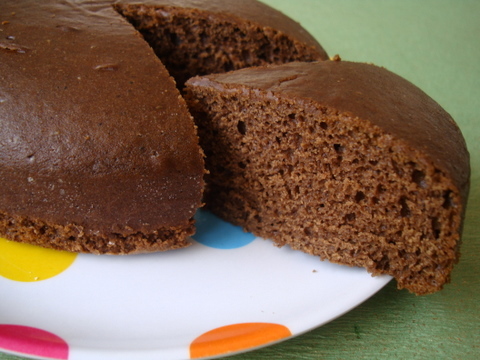 do you know of a simple soojie cake recipe with or without eggs? Amazing recipe….the cake i baked turned out to be very soft with nice texture (though i used white powdered sugar instead of brown and also added a teaspoon of lemon juice)…my family just loved the cake! Thanks Sailu. Is the entire condensed milk tin required? How much maida are we supposed to use? Hi Sailu…I made this cake today by exactly following your above recipe…but it turned out very bland(the sweetness was nil)…Can you please tell me where it might have gone wrong? Sailu,please ignore my previous comment…after frosting the cake,it turned out delicious(it gave the desired sweetness)…Thanks! U must explain it more nicely. Every thing must be understood to the logger. Only den one will like ur website. hi! awesome recipe – just wondering, is it possible tomake this cake in a teddy bear cake mould? instead of a round or square? Thanks a ton for sharing your amazing recipe. Everytime i follow your recipe, I always get compliments… Thanks a ton!! Just one question, the condensed milk used in this recipe is it “Nestle Milkmaid”? I m having dr. Oetkers fun foods chocolate cake mixture but I want to make it more delicious so what should I do for this???? My cake always sticks to the bottom of the mould….wat could be the possible reason? Hey cn which cocoa pwdr shld I use..brand name?? Hi if I am baking cupcakes out of ur recipe what is the oven timing.Please help. 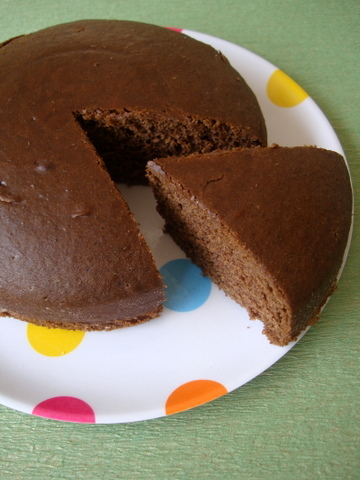 Do you have a eggless cake recipe without flour – wheat or white flour as I’m a celiac person. Perhaps rice flour?? Have you tried that?